This website has so many pictures of writers in uniform that the accompanying picture here doesn’t stand out, except perhaps for the strangeness of the uniform: it is that of the Press Corps in St Petersburg. Ransome spent the whole period of the Great War in Russia, acting mostly as the correspondent for the Daily News. When he first arrived in Russia, in 1913, there was of course no thought of war. He wanted to do research for a book of Russian fairy-tales (that was published in 1916 as Old Peter’s Russian Tales). His first task was to learn Russian; and then he was asked to write a Guide to St Petersburg (he finished that on 9 July 1914). Ransome witnessed the discontent of Russian people during the summer; and then their welcome for the war. He decided to leave, which he did with some difficulty, eventually arriving in Hull on a blacked-out steam-ship that managed to dodge German destroyers and avoid the mine-field off Hull. His friend Francis Acland (Under-Secretary for Foreign Affairs) advised him to go straight back to Russia, on the grounds that newspapers would have need of well-informed correspondents. Ransome arrived back in the newly renamed Petrograd on 30 December 1914. He spent the first few months of 1915 back in Russia writing his fantasy novel The Elixir of Life. He returned to England in September, when was able to see his new book in print in a bookshop window (“a miraculous tonic”, Ransome 185). He was approached by the Daily News to be their Russian correspondent, and at the end of October was back in Petrograd. He was in Russia (with occasional trips to different parts of the country), learning the business of being a war correspondent, for a full year before returning to England again. On 7 November 1916 he dined with Francis Acland and Lord Crawford, and warned them that in his view there would be a revolution of some sort in 1917, probably in either March or October (because of the likely food-shortages in those months). He was back in Petrograd on 11 December. His cables to the Daily News included warning about what might happen; the Daily News told him not to contact them so frequently. However, once the revolution started (in March, and then in October) they never asked him not to contact them again, and he was soon cabling them two or three times a day. He rather ill-advisedly left Russia again in October 1917, and so missed the October Revolution; he was back again in Petrograd late on Christmas Day. That Christmas of 1917 was the beginning of a wholly new life, though I did not suspect it at the time. I used to see Trotsky in the Smolny Institute up to the day of the Government’s move to Moscow. When he went to Brest-Litovsk for the negotiations I went on going to his office to get such bulletins as his secretary thought fit to dole out, and sometimes to walk with her until we were lucky enough to find a tramcar going towards the centre of the city. Once, I remember, still after all these forty years, with a shiver of horror, the tramcar started before she had her foot on the step, and she was dragged, hanging on, along the track, lying on one of those lines so that if her grip had failed she would inevitably have been cut to pieces by the wheels. Those few horrible seconds during which she lay almost under an advancing wheel possibly determined both our lives. But it was not until long afterwards that we admitted anything of the kind to each other (Ransome, 231-32). Ransome himself decided to go to Moscow: he went in the company of the American ambassador, and took with him a Pilot Jack (a Union flag with a white border) which Ransome could run up a flagpole of a suitable building, and declare it the British Mission. The initial idea was not to go all the way to Moscow, but just as far as Vologda; here various ambassadors established themselves. Ransome never got to use his flag until he started sailing the Baltic in his Racundra. Ransome had numerous problems getting out of Russia after the end of the war, not least because of his desire to take Trotsky’s secretary Evgenia Petrovna Shelpina with him. Finland was in a state of civil war, and relations between the new Soviet Union and Britain were very poor. Above all, however, Ransome’s own reports had been so favourable to the Bolshevik regime that he was widely suspected, in the UK and the USA, of being a communist himself, and in 1919 and 1919 fears of communist revolution spreading beyond Russia were widespread, and not ill-founded. Ransome had been perfectly open about his admiration for Lenin and the Bolsheviks: his book On Behalf of Russia: An Open Letter to America had been published in 1918, which rubbished the Mensheviks and praised the Bolsheviks, men who have “made the Soviet government of Russia, if they must fail, they will fail with clean shields and clean hearts, having striven for an ideal which will live beyond them. Even if they fail, they will none the less have written a page in history more daring than any other which I can remember in the history of humanity” (quoted Chambers, 220). is reported to be in Stockholm, having married Trotsky’s secretary, with a large amount of Russian Government money, and to be travelling with a Bolshevik passport. The alleged marriage we understand to be a “put-up” job and so the Bolshevik passport may be of little account, but the fact that he has a large amount of Russian Government money is of interest to us, and we would like to have him watched accordingly. Could you please wire out? (quoted Chambers 231). Lockhart, a British agent in Russia, had been arrested in early August, associated with counterrevolutionary plots, and numerous other foreigners had been arrested too. At the end of August, Lenin was shot, which led to the arrests and deaths of hundreds of opponents of the regime: in Petrograd the British embassy was invaded and Captain Cromie killed. Ransome was horrified at the death of his friend, who, he said, was a true friend to the Soviet regime; but even so he tried to excuse the actions of the Bolsheviks. His friends back home were horrified at the direction in which his politics were heading. When Ransome did get back to King’s Cross Station in London, he was stopped by a police officer in a bowler hat (who had actually accompanied Ransome incognito all the way from Newcastle) who insisted that Ransome go to Scotland Yard to talk to its head, Sir Basil Thompson, “Spycatcher” Thompson. Sir Basil questioned Ransome on his politics; Ransome insisted he had none, and was only interested in fishing. While they were talking, Sir Basil’s phone rang: it was the Foreign Office, warning him that Ransome was going to land at Newcastle the following day. He and Ransome seem to have had a civilised chat. Ransome went to the Foreign Office, where a young man let slip “Perhaps you do not realise that we could damn you with the Left if we let it be known that you have been working with us” (Ransome, 268). 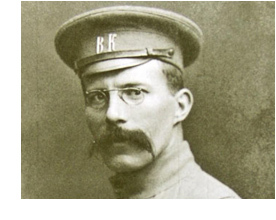 The interviews convinced both Scotland Yard and the Foreign Office that Ransome was not a Bolshevik agent, that they were merely being nice to him thinking that he might be useful, and that he was not a danger to the UK. Ransome finished his book Six Weeks in Russia in 1919, and was allowed to return to Russia. He spoke with Lenin, who said that Six Weeks had been praised to him for showing the Bolsheviks and human beings (it was not translated into Russian until 1924). He was still in Moscow in 1920 when the funeral took place of Prince Kropotkin (who had initiated Ransome into ice-skating as a small boy near Leeds). The information for the above comes largely from The Autobiography of Arthur Ransome, edited by Rupert Hart-Davis and published in London by Jonathan Cape in 1976. It has become notable for what it left out as much as for what is actually there; a new investigation by Roland Chambers, published in The Last Englishman: The Double Life of Arthur Ransome (Faber and Faber, 2009) has supplied the material about his employment as a British spy and the concerns of the British government regarding his possible status as a double-agent.